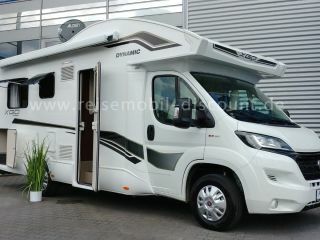 Italian design combined with German solidity is what this brand from the Hymer group stands for. 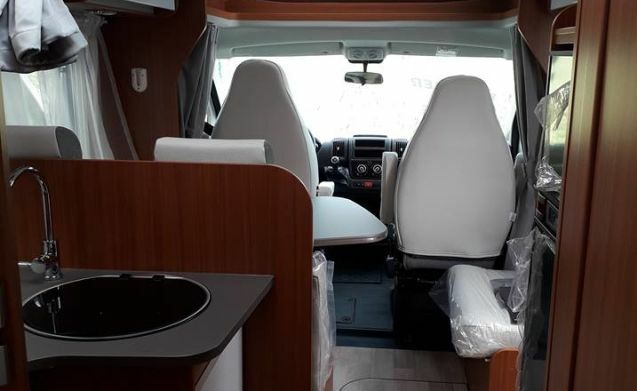 This new Fiat, 130 hp, 7.38m long is luxuriously equipped and complete omnium insurance including travel assistance throughout Europe. 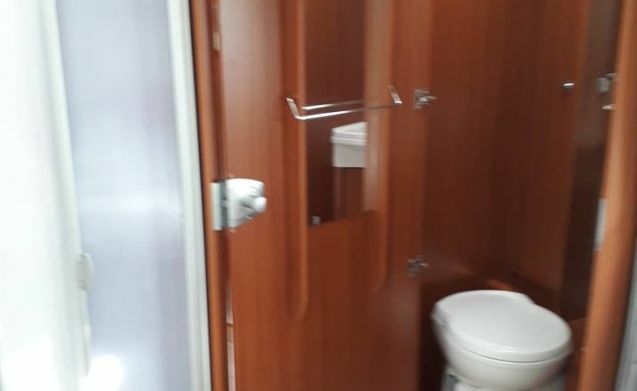 The motorhome is equipped with all comforts and has security locks on every door. Queens bed for 2 pers. 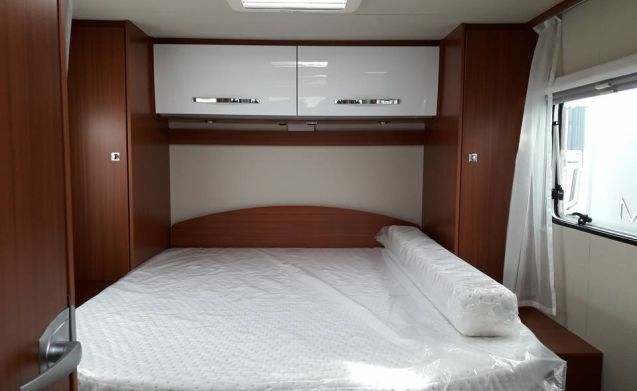 with cupboards all around, manual lifting bed for 2 pers. 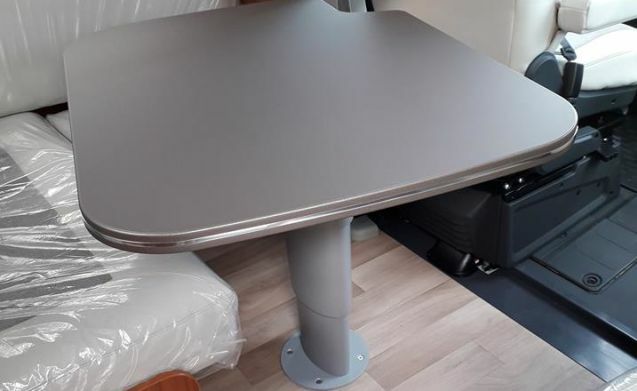 And of the dinette you can also make a single bed if converted. 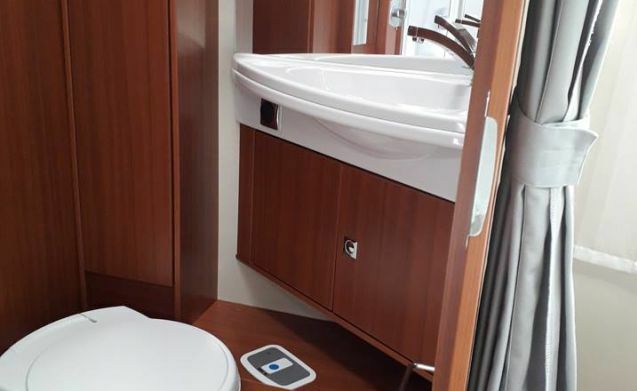 The shower and the toilet are in separate areas, the sleeping area with queen-size bed can be closed with a door. With us no extra items to bring, because everything for a carefree holiday is present. - Solar panel, so you do not always have to look for a place where electricity is available. Large garage to open along 2 sides, bike rack for 4 bikes. This means that you can stay for free with winegrowers, farmers, private individuals, livestock farmers, in France As far as we are concerned! Camper guide available free of charge. Load, board, leave and enjoy! We wish you a carefree trip! 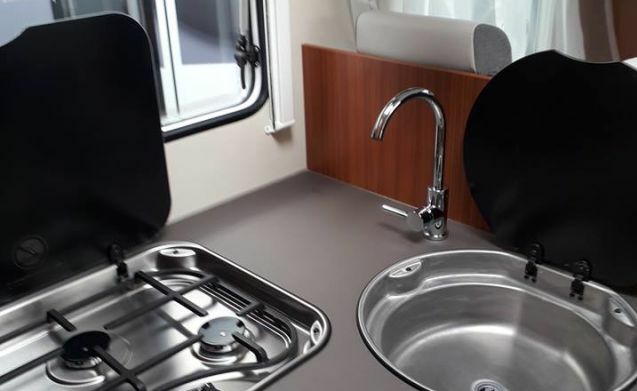 This motorhome is delivered and returned with a full diesel tank.  Please inform us immediately of ANY damage. 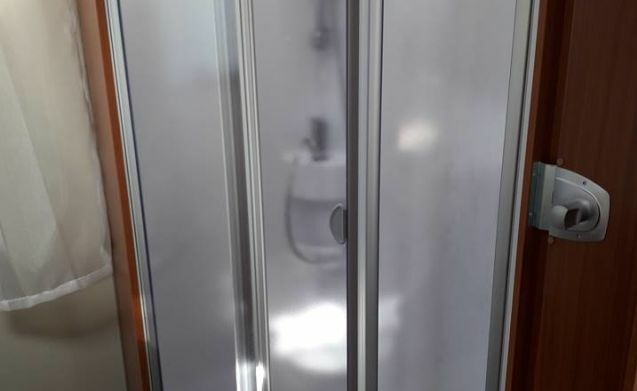  Water tanks and toilet cassette empty at "return"> if not fine 60 euro.  Dogs allowed, at your own risk of any damage. 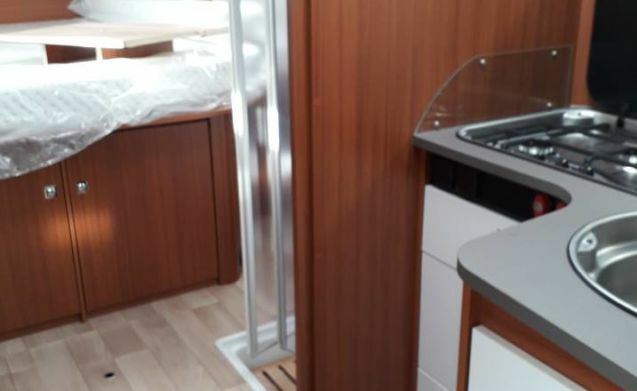  Please bring the motorhome inside as you received it on departure: inside and outside polished. 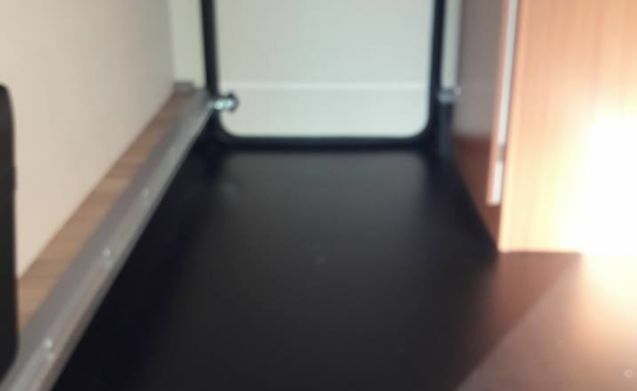  Cleaning is not done in a car wash, not with high pressure, not with abrasives. Only uses the products supplied by us.  We do not set a minimum age, but take into account your driving experience. 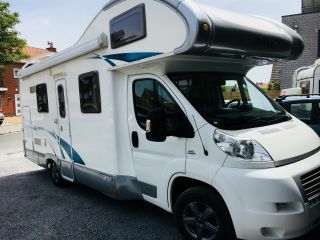  We ask for a short description of your route on departure, do another country no problem a camper needs to travel carefree but let us know in this case.  Use of additional appliances such as, deep fryer, microwave oven and the like are not permitted. 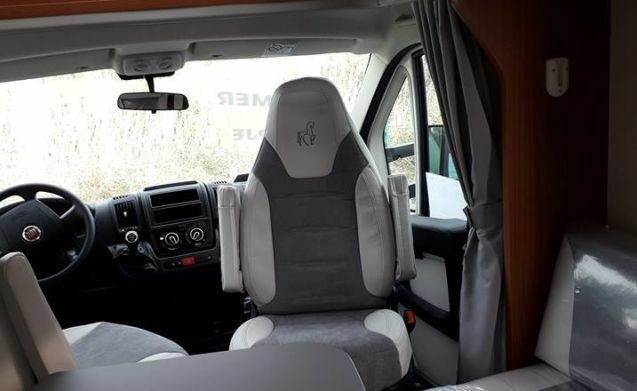  It is strictly forbidden to use the vehicle for the transport of any form of prohibited means, drugs, equipment, illegal persons or goods in conformity with European legislation.  Any violation with confiscation will irrevocably lead to the payment of a compensation equal to the purchase price of the rented vehicle.